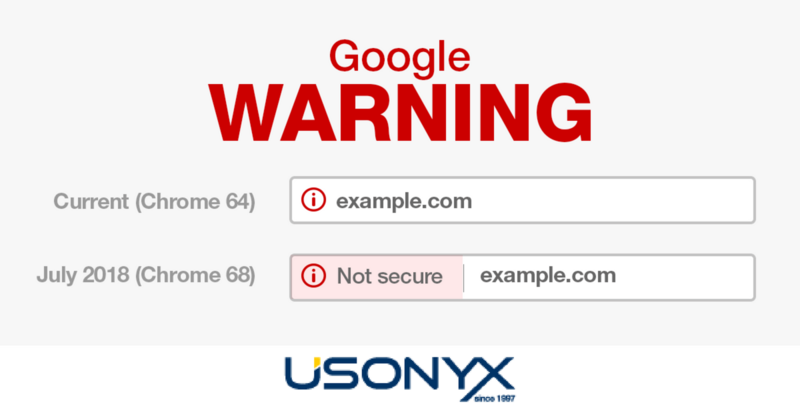 From July onwards, Google will put up explicit warnings on all non-HTTPS websites by displaying a ‘Not Secure’ indicator on the URL bar. This will definitely make website visitors feel insecure and afraid when accessing such website. For years, Google has encourage all websites owner to equip their websites with SSL Certificates, as SSL allows websites to be accessed over HTTPS, which encrypts information sent between the visitor and web server. It provides security, privacy, and data integrity to your website and your visitors’ data information. SSL certificates encrypt the information visitors send or receive from your site. It is very significant because all information on the internet is passed from computer to computer to get to the destination server. This makes it possible to have your passwords, credit card PIN numbers or any other sensitive information disclosed by irresponsible parties if the data are not encrypted. With SSL certificates, all the information will be encrypted and unreadable to everyone except for the person you are sending. Google Chrome will show a lock icon or a green bar in their URL bar for SSL-certified websites to make sure visitors know their connections are safe and secure. Besides, scammers have a particularly difficult time in replicating authentic SSL certificates.Therefore with SSL certificate, visitors will feel safer and more confident with your website and are willing to share with you their personal information. Without a SSL certificate that meets PCI (Payment Card Industry) compliance standards, the website won’t be able to take credit card payments. To meet PCI compliance, websites required SSL certification with proper encryption of at least 128-bit. PCI standards assures the right strength of encryption and provides a private connection on any website that requires customers to enter credits cards information and other sensitive data. SSL certificates is not only valuable to security, but also helps in SEO rankings. With SSL certification, your website will be ranked higher in search engines like Google Chrome, Yahoo! and Bing.Undoubtedly, your targeted audience will be reached more easily and immediately as your website visibility had been increased in the search engine.